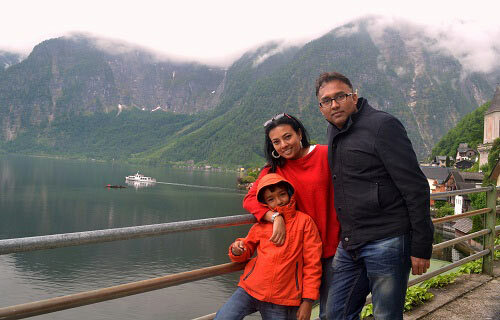 Hooma & Sudeep are the founders of Travel Jaunts, a travel company based out of Bangalore. They are travellers, bloggers, photographers and tour organizers. This young couple loves to travel family-in-tow, at the slightest opportunity life provides, to create and build an exciting bank of memories. 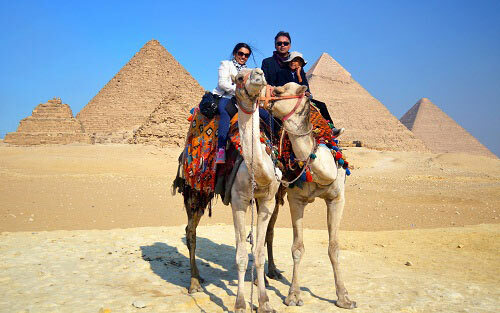 They have been traveling for the last 14 years - extensively within India, and to over 25 countries across the globe. What solutions do you offer as travel advisors and tour operators? We are an experiential travel planning company, providing exciting format options across categories – adventure, leisure, comfort, Indian or International travel for example. This includes (a) group tours and custom private tours (b) family tours which include regular vacations, honeymoon specials, travel for the elderly (c) celebration related vacations (d) unique group tours - women’s tours, mother-with-kids tours, father & child bonding trips (e) packages for first timers and (f) incentive tours for small and medium organizations. What emerging trends do you see among today’s young vacation seekers? The profile and landscape of travel has changed to a fair extent. Solo travel is becoming popular and we have women enquiring about our solo tours across travel categories. I have also observed that people are experimenting – they are trying offbeat places, and looking to do trekking and budget backpacking. While established destinations draw most crowds, there is a lot of interest in places such as Spiti in the North East (including Arunachal), and Kashmir in India. Adventure travel is extending the canvas to include new experiences and ways of exploring the world. For instance, a lot of people opt for tented accommodation in Pushkar, over leisure hotels. Young vacationers travel more frequently, unlike in the past where your annual vacation was the big daddy, with the big daddy doing the planning. People these days might even plan a really long trip just one day before they travel. Another emerging trend is theme-based travel. Traveling the way you live is becoming an essential and serious passion - leading to a plethora of options – such as bike tours, photography tours, wildlife tours, wellness tours and fitness tours. What do you think of timeshare vacations? What are the benefits and plus points? Over the years, vacation ownership has worked very well for us. We are die-hard Club Mahindra members since 2006 – vacation ownership has been one of the best decisions we have made, especially for our son. For people like us who travel frequently, our membership has incentivized us to travel during the off season as well. Timeshare brings in a committed week on your calendar – and will help you travel at least once in the year. The standard of quality and service remains the same across properties – which is reassuring. Seasonal offers are great for members, and help you explore newer experiences - try Nathu La in cold December. The quality and choice in terms of food is generally good. I have also noticed a children’s menu at most of the resorts. Timeshare resorts additionally organize activities and cultural programs – we invariably end up celebrating New Year’s at one of the Club Mahindra properties. I even describe this as a Club within the Club - for kids, teenagers and grandparents. For my son, this is like a second home and will even play with total strangers, while we are elsewhere at the resort.